← Online Student Again, Part 6: Personalized Digital Experiences–Oh boy. Almost creepy. 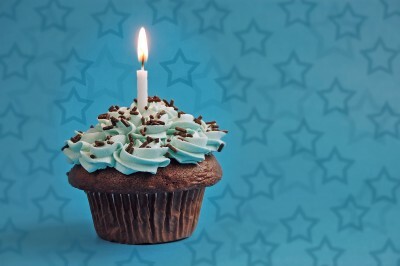 TechCommGeekMom is celebrating another birthday–it’s 3 years old now! I guess this means it’s not a little baby blog anymore. And by the numbers, it’s definitely grown. Last calendar year, this blog had over 10,000 hits! I’m hoping to do more than that this year, naturally. Based on the stats I’ve seen so far this year, I’m off to a good start! The blog has also evolved. 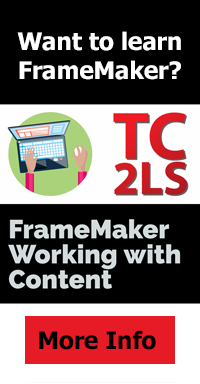 While it started out concentrating on m-learning and e-learning (and I still try to talk about that when I can), it has shifted more towards where my other interests in tech comm lie, and where my career has shifted me thus far, namely in content strategy. Even more recently, as content strategy evolves and has encouraged me in this direction, I’m starting to include more on digital marketing as it relates to content marketing. And in between, I’ve included articles about technology and education, better ways of writing, thinking about globalization and localization issues, and a whole lot more. I know I have over 900 posts on here between content curated and original posts, and it’s not stopping yet! Thanks to all who read and support TechCommGeekMom. I still look at this blog as a work in progress, and I always look forward to getting feedback and conversations going on here. That was the whole intent of this blog–to incite conversation and to help share information that can educate my fellow technical communicators! (I think it’s working!) So, thanks again for visiting from time to time, and keep coming back for more! I’m hoping to do new things and continue to grow this blog as time goes on! This entry was posted in Uncategorized and tagged blog, blogging, content, content strategy, digital literacy, digital marketing, Distance Learning, DIY education, e-learning, education, elearning, higher education, how long has TechCommGeekMom been around?, instructional design, instructional design and technology, Learning, m-learning, Methods and Theories, mlearning, mobile, mobile learning, Online Teaching and Learning, social media, tech comm, TechCommGeekMom, Technical communication, technical communications, technical writing, Twitter. Bookmark the permalink.